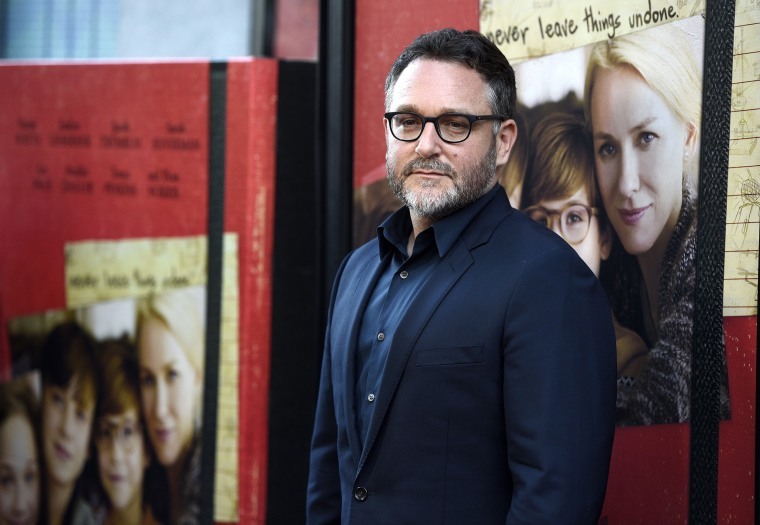 LOS ANGELES — The "Star Wars" movie franchise has parted ways with another director, Disney announced on Tuesday, saying that Colin Trevorrow would no longer be directing the studio's scheduled 2019 film "Star Wars: Episode IX." Disney and Lucasfilm in a statement blamed differing visions for the project but did not name a replacement. "Lucasfilm and Colin Trevorrow have mutually chosen to part ways on ‘Star Wars: Episode IX,'" the statement said. "Colin has been a wonderful collaborator throughout the development process, but we have all come to the conclusion that our visions for the project differ. We wish Colin the best and will be sharing more information about the film soon." It was the second "Star Wars" project to lose a director this year. Disney in June said that filmmakers Phil Lord and Christopher Miller had left the upcoming Han Solo spin-off movie project due to creative differences. Trevorrow, 40, is best known for directing the 2015 global box-office smash "Jurassic World." He broke out three years earlier with the quirky science fiction comedy "Safety Not Guaranteed." He also helmed "The Book of Henry," a family drama released earlier this year that was savaged by critics and bombed at the box office.